2017 is the first performance year of CMS’s Merit-based Incentive Payment System (MIPS), and now is the time to prepare. MIPS replaces existing quality reporting programs in Medicare Part B. It integrates the current Medicare quality and value programs and establishes a combined performance score. Each year, a performance threshold will be set. If your previous year’s average score equals that performance threshold, your Medicare Part B payments will not be affected. However, if you fall below that threshold, you will face a negative payment adjustment. Conversely, high performers can potentially receive significant bonuses. With the possibility of both increased revenue with a higher MIPS score as well as penalties for falling below the threshold, it is important that you look at 2016 as a rehearsal year for MIPS and do everything you can to improve your score now. So, let’s break down MIPS into its component parts and learn how to raise your score. For performance year 2017, MU will be 25% of your MIPS score, making it a significant factor in your reimbursement levels. Fortunately, MU is a category that many practices have already been working on. The first step of MU is to successfully attest to demonstrating meaningful use of certified electronic health records (EHRs). Eligible professionals (EPs) can participate in the Medicare program or Medicaid program. This is the last year to initiate the Medicaid program to access MU incentives. 2014 was the last year to start the Medicare program and receive incentives. For practices that have not attested, penalties on Medicare payments began in 2015 and will increase each year. Since there are increasing penalties and participation impacts your MIPS score, there is value in starting in 2016 and continuing to attest. To learn more about determining eligibility and attesting, visit the Kareo Meaningful Use resource Center. The Physician Quality Reporting System (PQRS) and Value-Based modifier (VBM) Quality portion will account for an additional 50% of your MIPS score for performance year 2017. If you have not been reporting PQRS measures, now is the time to start. You will need to select 2017 PQRS measures and start monitoring. VBM borrows from the PQRS program to set minimum reporting requirements. To achieve the highest VBM score, you will need to either (1) register and report as a PQRS Group Practice Reporting Option (GPRO) or (2) report at least 50% of the group’s eligible professionals (EPs) for PQRS on an individual basis. The GPRO method is available to practices with two or more eligible professionals billing Medicare and operating under the same tax identification number (TIN). The benefit of choosing GPRO reporting is that if at least one member of the group has eligible patient visits to report, every member of the group will avoid the penalty for non-reporting. GPRO method reporting is due June 30, so be sure not to miss your deadline if you choose to self-nominate for GPRO. A maximum of 10% of your MIPS score will be determined by VBM cost measures. There are no minimum reporting requirements with respect to your VBM cost measures since they are calculated by CMS based on submitted Part B claims. Clinical Practice Improvement (CPI) is the new addition in the quality improvement efforts introduced by CMS with MIPS. It will be 15% of your score for 2017. The best way to improve your MIPS score in this area is to apply for or renew your status as a Patient Centered Medical Home (PCMH). PCMH certified practices automatically receive the full 15 points in this category, making it a great option for improving your overall score. 2016 is the year to prepare for MIPS. A higher MIPS score means higher Medicare Part B payments, potential bonuses for high performers, and increased revenue for your practice. With at least 75% of your first year’s score based on MU and PQRS/VBM measures, adopting a certified EHR and participating in MU and PQRS should be your first steps. Next, consider applying for PCMH status to take advantage of the 15 points it guarantees in the Clinical Practice Improvement category. 90% of your MIPS score is found in these three areas. Focusing on improving these areas will maximize your payout. 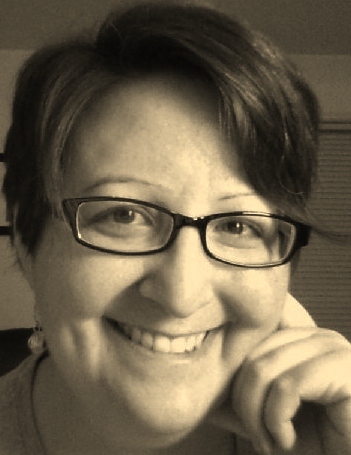 Adria Schmedthorst is a writer focusing on the medical device, technology, software, and healthcare industries. Adria is the founder of AMS Copy and a healthcare professional herself with more than 10 years in practice. 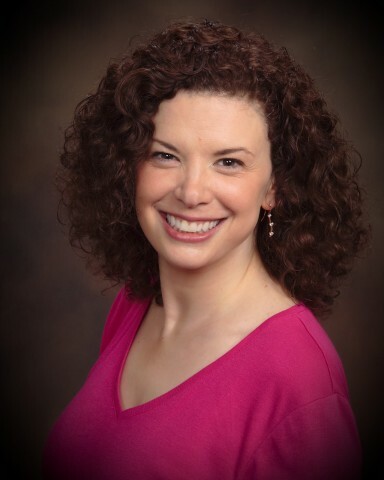 She now uses her knowledge of the industry to help companies achieve their goals of writing content that speaks to the hearts and minds of medical professionals. She has been featured in blogs, written articles, and other publications for the industry, and ghostwritten books for doctors in both the United States and Australia. ICD-10, device-generated data, value-based payments, and EHR compliance were just a few of the timely topics discussed during HEALTHCON 2016—the 24th annual conference sponsored by the American Academy of Professional Coders (AAPC). Nearly 2,700 billing and coding professionals attended the event that took place in Orlando earlier this month. This year’s event drew attendees to a wide variety of sessions, reflecting a larger trend toward expansion of coder skillsets into various aspects of practice management. During an inspirational general session, Stephanie Cecchini, CHISP, CPC, CEMC, encouraged attendees to take advantage of industry changes by climbing the career ladder to a six-figure income. In particular, she urged coders to follow their passions, commit to lifelong learning and networking, and constantly sell the importance of medical coding to others in the healthcare profession—particularly physicians. Similarly, other speakers empowered coders to strengthen compliance and mitigate risk for the practices in which they work. During a presentation about denial management, Yvonne Dailey, CPC, CPB, CPC-I, told coders that 90%-93% of claims rejections are preventable. She encouraged coding and billing staff to “learn the lingo” of denials to ensure that they have carrier-specific edits in place. She also encouraged attendees to track denials, analyze the root cause, and develop corrective action plans. In addition, Dailey reiterated the importance of a financial policy that clearly explains patient financial responsibility in the event of non-coverage. She reminded attendees that claim submission is a technically a courtesy that practices extend to patients. “Get patients involved ASAP if claims aren’t being paid,” she added. Compliance was also a theme during a session about billing for transitional care management (TCM) and chronic care management (CCM). Speaker Stephen Canon, MD, reminded coders of specific requirements for TCM and CCM and provided strategies for overcoming reporting barriers associated with discharge notifications, scheduling follow-up visits, and meeting all documentation requirements. ICD-10 compliance was a topic of discussion as well. Vince Kobayashi said unspecified codes continue to challenge coders, although many practices have yet to see an influx of denials. “The problem is documentation. It’s the ‘data in,’” he said. As the industry continues to progress with ICD-10, Ann Bina, COC, CPC, CPC-I, reminded coders to focus not only on productivity but also quality. During this interactive session, many attendees stated they kept their quality standard at 95% despite the transition to ICD-10. One attendee stated that her quality standard remained at 98%. How should practices generally handle auto-population in the EHR? Michael D. Miscoe, Esq., CPC, CASCC, CUC, CCPC, CPCO, CPMA, CHCC, said auto-population affects the credibility of the work performed and that practices definitely shouldn’t pull information forward simply to drive an E/M score. 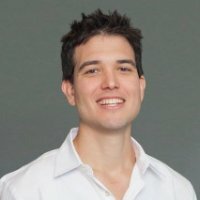 Should practices copy and paste all lab results received during the last six months? Timothy P. Blanchard, JD, MHA, FHFMA, urged attendees to consider whether the labs are truly relevant to the current visit or whether this information will simply add to the volume of data in the record without adding any clinical insight. 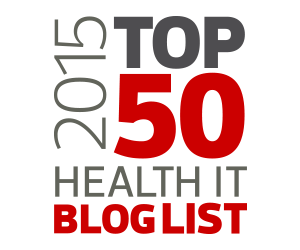 Will auditors begin to ask for an EHR audit trail? Several panels stated that some Medicaid contractors and commercial payers are already asking for this information. They encouraged attendees to work with their EMR vendor to ensure that it can provide this information when requested. Angela Jordan, CPC, spoke about challenges associated with EHR templates and encouraged coders to serve as front-line support to catch errors related to speech recognition and to validate appropriate diagnosis and service codes, add-on codes, and modifiers. In looking ahead, speakers touched on new technologies and shifting reimbursement models. How must privacy and security models evolve? How might having access to deeper health histories and real-time data affect clinical decisions and workflow? How might mobile/real-time data affect the business side of healthcare? For example, Klososky said subscription-based healthcare plans may offer additional revenue streams for physicians. With these plans, physicians would monitor device-generated data and provide proactive and personalized interventions in exchange for a fee. Dan Schwebach, MHA, CPPM, said “data, frankly, is becoming the new currency.” He encouraged coders to look ahead at how healthcare will likely evolve over the next two decades to include population health management, greater use of telemedicine and remote monitoring, pricing transparency, consolidation, and competition based on value. As value-based healthcare continues to mature, he reminded attendees that coded data drives risk adjustment as well as outcomes and quality data. Claim denials are an ugly reality that many practices face daily. Now that the industry has transitioned to ICD-10, the potential for denials continues to increase. However, the good news is that many of these denials are avoidable. There’s no need to settle for a 10% or higher denial rate. With a little time and effort, practices can easily reduce their overall denial rate to the industry standard of 3%-5%. Why is it particularly important to monitor and mitigate denials now if you haven’t done so already? First, payers have increased the sophistication of their algorithms so they can identify patterns of denials more easily. Second, denials are costly. It often takes significant time and resources to resolve and/or appeal denials. Finally, ignoring denials today will inevitably lead to problems down the road. Although denials in ICD-10 continue to remain relatively low (CMS denied a total of 9.9% of claims during the fourth quarter 2015), there is the potential for an increase once the ICD-10 grace period concludes and the ICD-10 partial code freeze is lifted—both set to occur on October 1, 2016. At the ICD-10 Coordination and Maintenance Committee meeting, March 9-10, 2016, stakeholders proposed 1,900 code changes to ICD-10-CM and several last-minute changes to the ICD-10-PCS code set, which already has 3,651 new codes approved for October 1, 2016 implementation. Here are five steps to lower your denial rate and implement proactive strategies to ensure smooth cash flow. 1. Know your current denial rate. To calculate your current denial rate, add the total dollar amount of claims denied by payers within a given period, and divide that amount by the total dollar amount of claims submitted within the given period. For example, look at a three-month period. If your total dollar amount of claims denied within this period is $10,000—and your total dollar amount of claims submitted is $100,000—then your denial rate is 10%. Calculate your denial rate according to payer, reason for denial, provider, specialty, and location (if your practice includes more than one location). Collect data regarding denials. How are denials identified? Verify your ability to extract this data from your practice management system, or secure a bolt-on denial reporting product. Create a standardized workflow for denials. This should include a step-by-step action plan for each type of denial. Who will handle each type of denial, and how? Accurate data entry. Collecting accurate and complete demographic and insurance information on the front-end is critical. One of the most common denials occurs when a patient’s health insurance expires and either the patient or the practice (or both) are unaware. In other cases, practices may check eligibility when an appointment is made, but coverage is dropped before the actual visit occurs. Real-time eligibility tools that provide information about coverage, deductibles, copayments, and contractual fees for specific services and procedures are helpful. Policies and procedures for insurance coverage and eligibility (e.g., payer-specific requirements regarding appropriate ICD-10 codes to use with certain CPT/HCPCS codes). Consider designating one person to receive and review all newsletters and updates from payers. This person can then disseminate important information to the rest of the team. Documentation requirements for ICD-10 specificity. Depending on your specialty, ICD-10 codes may require more specific documentation regarding laterality, anatomical location, and more. Frequency/global rules for specific procedures. This should include a discussion of modifier usage. Advanced Beneficiary Notices. Education should include how to fill out forms properly and what patients need to know at the time of service. Understanding your denials helps shed light on specific areas for improvement. By identifying these areas, your practice can take proactive steps to improve processes and mitigate risk going forward. If you are looking for ways to improve you medical billing, use this Billing Best Practice Checklist to establish goals for best practices. Are you trying to reach patients online? One of the most important aspects of your online presence is your medical practice website. In this short video expert, John Sung Kim shows you how to use title tags to improve your website SEO. Looking for more ways to have the best website to attract and retain patients? Download this helpful guide. 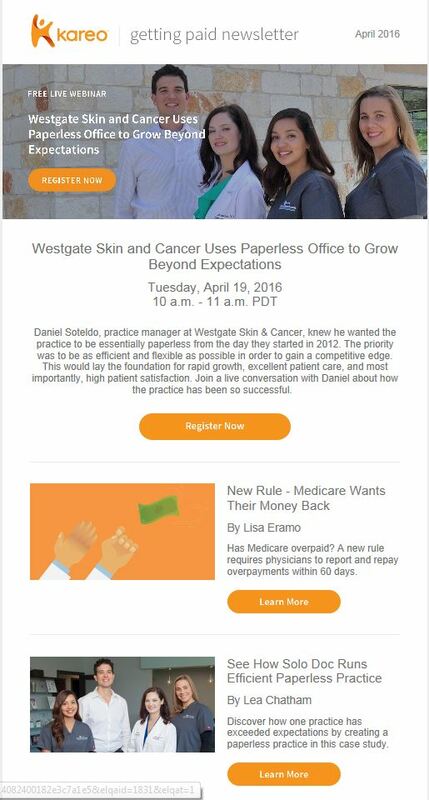 Daniel Soteldo, practice manager at Westgate Skin & Cancer, knew he wanted the practice to be essentially paperless from the day they started in 2012. The priority was to be as efficient and flexible as possible in order to gain a competitive edge. This would lay the foundation for rapid growth, excellent patient care, and most importantly, high patient satisfaction. Don’t miss this chance to see how one practice is using the right technology to stay independent and achieve their goals. Daniel Soteldo is the practice manager at Westgate Skin and Cancer. The April Getting Paid Newsletter provides the latest on MIPS, Medicare overpayments, and more hot medical billing topics. 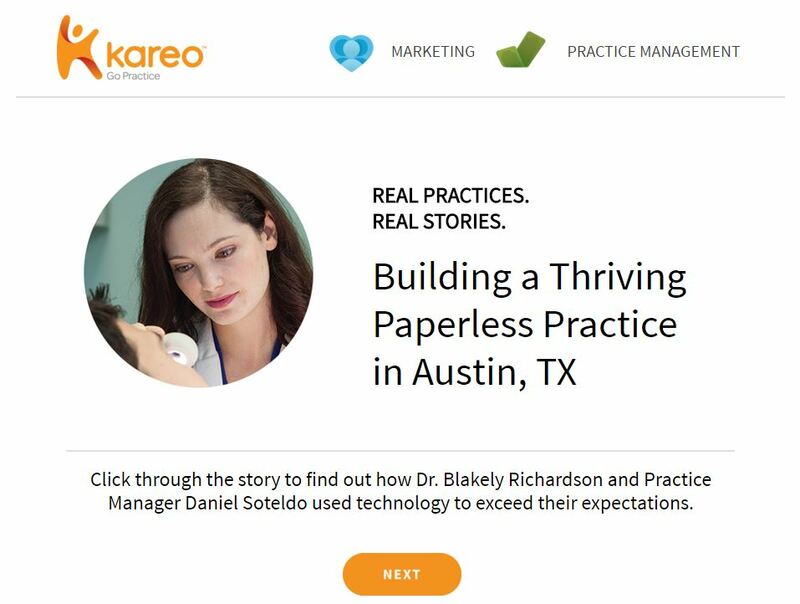 Discover upcoming events, news, and resources from Kareo. Plus, learn about how to register for upcoming webinars. Read all this and more now! Do you know whether your practice has had any Medicare overpayments recently? If the answer is ‘no’ (i.e., you don’t know), it’s time to get acquainted with your claims data. Why is this important? As of March 14, a final rule requires physicians to report and repay Medicare overpayments within 60 days of identifying them. Notable is the fact that physicians are essentially on the hook for all overpayments that they identify within six years of when the overpayment is received. CMS says the rule doesn’t necessarily require practices to create formal compliance plans or audit strategies, yet some experts feel that the requirement is implicit. At a minimum, providers must have a way to conduct thorough billing audits as well as a process for following up on potential overpayments, says Tony Maida, partner at McDermott Will & Emery, LLP. “There are many different situations that could trigger this rule, but the overriding theme is that the government is going to examine whether a provider is undertaking reasonable compliance efforts,” he adds. Findings that include identified errors without an increase in reimbursement aren’t considered overpayments and thus aren’t reportable or repayable, according to CMS. 2. Lookback period: Providers must report and return overpayments only when they’re identified within six years of the date the overpayment was received. This differs from the 10-year lookback period included in the proposed rule. 3. How to report and return overpayments: Providers can report and return overpayments using one of these methods: an applicable claims adjustment, credit balance, or self-reported refund. 4. Implications for non-compliance: Those who fail to comply with this rule could face liability under the False Claims Act and be subject to monetary penalties as well as exclusion from federal healthcare programs. You’ve found an overpayment. Now what? Step 1: Confirm whether the overpayment is legitimately reportable. “It’s important to do this review in a timely manner because CMS says it will examine how long it takes providers to conduct the reasonable diligence,” says Maida. “Some practices may want to hire an outside expert to make this determination,” he adds. The 60-day clock starts ticking after the required reasonable diligence has concluded—and the overpayment has been identified. For example, a practice may run a report indicating that its Medicare reimbursement for a particular procedure has spiked within the last month. The practice then has 60 days from the date it determines whether the spike in reimbursement is truly due to an overpayment to return that overpayment. Step 2: Report and return the overpayment to the Secretary, the state, an intermediary, a carrier or a contractor to the correct address by the later of 60 days after the overpayment was identified or the date the corresponding cost report is due. The overpayment amount is the difference between what was paid and what should have been paid if the claim had been submitted correctly. Step 3: Notify the Secretary, the state, an intermediary, a carrier, or a contractor in writing of the reason for the overpayment. First, plan to budget time and resources specifically for auditing. CMS says the final rule “does not create additional burden or cost on providers,” yet the agency also estimates that physicians and other entities affected by the regulation would bear an annual cost burden estimated at more than $161 million. Second, consider investing in a formal compliance program that’s scaled appropriately for the practice, says Maida. “Ensure that staff members are properly trained, that physician adequately document their care, and that periodic audits review Medicare claims. This helps avoid problems in the future,” he adds. Third, engage with outside counsel for expertise. 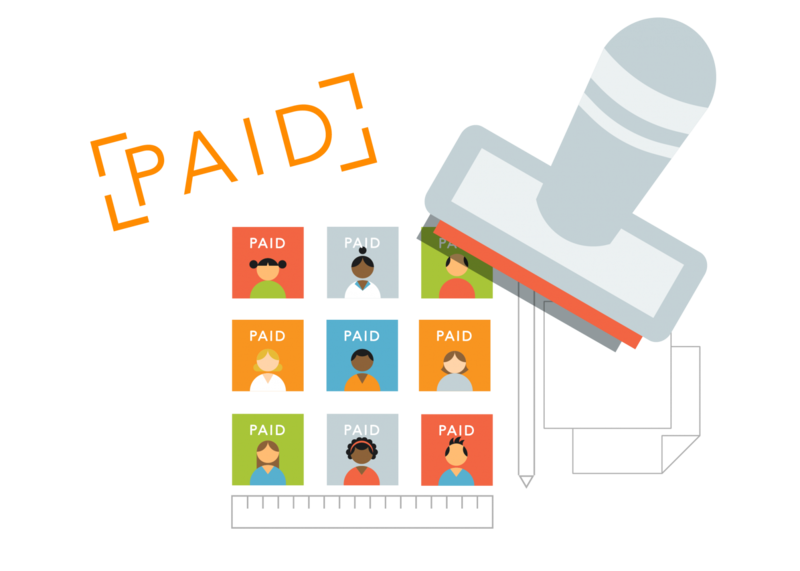 Identify someone who can immediately help the practice determine whether an overpayment must be reported and repaid. Value-based reimbursement is here to stay. It is being embraced not just by CMS and its Merit-Based Incentive Payment System (MIPS) but also by commercial payers across the board. By the end of 2018, half of payments will be tied to quality initiatives by CMS while over 90% of commercial payers are already using a mixture of fee-for-value and fee-for-service payment models. This changing healthcare environment creates many challenges for small practices. But, there are affordable, secure technology solutions available to help you thrive as more and more of your reimbursements begin to be tied to quality of care and patient outcomes. Meaningful Use (MU), the initial driving force to integrate technology into healthcare, is not being replaced with the advent of MIPS—more like upgraded. In fact, for 2017, the first performance year for MIPS, MU will represent 25% of your MIPS score. So, if you have not embraced technology in your practice and adopted a Certified EHR, now is a great time to re-evaluate your options. Both EHRs as well as billing systems are vital tools to achieve optimum performance for small practices. Not only do they help you to meet MU requirements, they also provide you the data sources needed for reporting your PQRS measures. If you have not participated in PQRS reporting, you should begin to prepare now for 2016 reporting. PQRS and the Value-Based Payment Modifier (VBM) will represent half of your MIPS score for 2017. This makes reporting PQRS measures the most important determiner of your Medicare reimbursements for the first performance year of MIPS. In addition to the effect it has on your MIPS score, negative adjustments for PQRS and VBM could result in an up to 6% decrease in your reimbursements. This makes having an EHR in place that allows you to access the data you need in the appropriate format necessary in order to maximize your Medicare reimbursements. Even more, EHRs provide benefits to small practices that have nothing to do with MU or MIPS. They can help you generate patient lists based on specified criteria, allowing you to increase the number of patient visits for preventative and follow-up care. They can reduce front office burden by allowing your staff to spend less time on the phone with patients, pharmacies, and labs. And, they give you the ability to analyze bottlenecks in your practice and improve your workflow. Additional benefits of EHR adoption for small practices include reducing the cost of records management, transcription services, and more. All of this can increase both the efficiency and the profit potential of your practice. Value-based reimbursement is here, but not without its challenges. Fortunately for small practices, incorporating an EHR and billing system into your office now can allow you to meet MU requirements, easily access data for PQRS measures, improve your workflow, and generate increased revenue. The transition to fee-for-value payments by both CMS and commercial payers means that incorporating the appropriate technology in your practice is more important than ever. Do you ever help clients contract with a new payer? Expert Paul Bernard shares some tips on how your medical billing company can help customers with this to add value and improve billing. 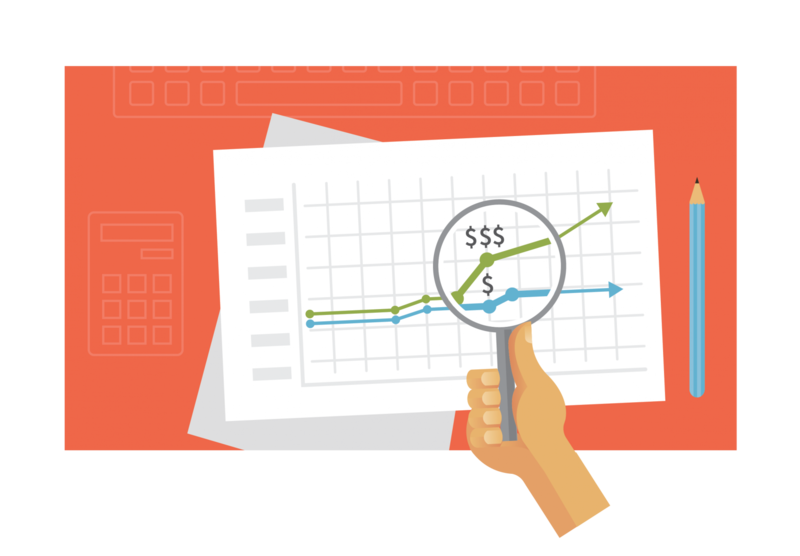 Looking for more ways to grow your billing company? Download this helpful guide.